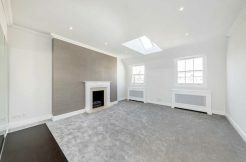 Cavendish Rowe is one of Central London’s leading independent estate agents. With over 50 years’ combined experience of the property and finance sector, we are committed to the values of a customer-oriented service and professionalism. This, combined with extensive sector knowledge and dynamic marketing techniques, ensures our customers realise their needs exactly. We constantly strive to provide a service which is enhanced by our pro-active approach, customer focus and the quality performance of our expert team. We also exclusively cover Paddington, Bayswater, Lancaster Gate, Marble Arch and Hyde Park and so as W2 specialists, our services are not diluted across London. Instead, our guidance remains focused so that we may offer a variety of options and go far beyond both the traditional role of estate agents and the expectations of our customers. Furthermore, the majority of our team not only works but also lives in the W2 area so we have accumulated an intimate and long-standing knowledge of the local market – a key element to our service. As a forward-thinking company, we are always looking at ways in which we can develop our service and so regularly evaluate our services to ensure you are offered the very best. We have recently enhanced our current service by introducing local information on our website which is readily available to our customers. This new feature epitomises our company ethos of ensuring you make informed and careful decisions. The fluidity and volatility associated with Central London’s property market often makes it difficult to achieve excellent results whether you are a seller, buyer, landlord or tenant. However at Cavendish Rowe, delivering excellent results is exactly what we do best. In order that buyers are fully informed before purchasing a property, Cavendish Rowe guarantees a service built upon helpful and professional advice. We believe that choice is a key element to any purchase and is often something overlooked by estate agencies. We work to ensure your individual requirements are central in our consideration of providing an effective service to you, at every level. We conduct accompanied viewings and offer free financial advice through an in-house independent financial advisor so that all information provided is personalised. Our trained and motivated staff ensure regular communication through the most convenient medium for you from email updates to weekly mailings. In particular, our website endeavours to make the buying process just that little bit less stressful by providing you with another source of information where you can also perform your own property search. We offer a monthly newsletter with home-buying tips and local information and have recently produced a jargon-buster designed to interpret the ‘language of real estate’ for our customers. We are also in the process of publishing a focused W2 directory which hopes to display all new-property-relevant resources and utilities in one place for customers so that customer care is maintained even after purchase. Cavendish Rowe has a long-standing history of letting properties and is therefore more than sufficiently experienced and dedicated to ensuring our tenants are well-informed before entering into any agreement. This is why we produce a portfolio consisting solely of high-quality housing in a variety of locations which promises to fulfil your needs and expectations, whatever they may be. Customers can rest assured that properties in our lettings portfolio undergo a rigorous assessment against our guidelines and that they are priced according to market conditions. We understand that clear communication is a key element to any business relationship and so we provide you with direct access to our property details and local information – compiled and updated to ensure you reach a decision which is specific to your requirements. We also use email and the internet to advise prospective tenants of the latest properties and price reductions so that our service is both swift and thorough. Along with organising accompanied viewings and insurance advice, we also assist with property management to maintain a quality service even after the initial proceedings so that your rental runs as smoothly as possible. As such, we arrange inventory check-ins, cleaners and an emergency repairs service so that the professionalism and competence of Cavendish Rowe is also reflected in our services to you. Additionally, we are fully aware of the latest legislation, legal and statutory obligations and will act proficiently on your behalf throughout your time with us. At Cavendish Rowe we understand that selling your property can be stressful which is why we adopt an energetic and vigorous attitude to match the variable and competitive nature of the London property market. We have a rich history in selling properties and so are supported by both our wealth of understanding of the local market and our experienced, friendly team. By offering a unique selling experience through our innovative marketing strategy and excellent service, you can be as involved as you want to be. Our flexibility means that we evolve with our customers and the world around us so that our techniques are constantly reviewed for efficiency and improved accordingly. This ensures that not only can we offer you a highly personalised service with guidance on how best to market and sell your property but also that we attain the maximum possible price. Our strength lies in the fact that we are W2 specialists and so our service has a specificity and depth unrivalled by other estate agents. Our innovative marketing techniques then enable us to expose and maximise this local understanding on a larger scale so that we can be as proficient and comprehensive as possible for you. We maintain a healthy balance between the creativity of marketing strategies and the practicality of negotiations in order to reap optimum returns. Consequently, we make every effort to present your property and conduct the sale with the same professionalism and integrity we preserve at Cavendish Rowe. We also understand the importance of appearance in modern markets and so fully utilise our links with the media and other resources to innovatively market your property. We take full advantage of the ever-growing web audience through press releases, e-marketing and online newsletters. We also strive to improve the more conventional marketing methods by organising accompanied viewings and allowing for feedback afterwards so that our service may be further improved. A bank of local information is also on offer which highlights our role as W2 specialists who concentrate on effective, local advertising. In our many years of experience in letting property we have found that the power of advice cannot be underestimated which is why we ensure that our customers are provided with up-to-date information regarding expected market rent, tenant appeal, property presentation, landlords’ obligations such as health and safety legislation, insurance, mortgage and head lease requirements. Landlords are advised in every aspect of the letting process from the drafting of tenancy agreements and insurance to rent collection and inventory check-ins. We aim to help our customers from the very outset of the process through providing local and national advertising supported by local area knowledge. Furthermore, towards the end of the process we promise prompt accounting and guidance should renewal negotiations be required. In short, wherever you want help, we provide it. Cavendish Rowe is characterised by its proactive approach and we apply it extensively in our management of property to ensure we provide a service which is competent and reliable. Our active marketing strategies promise to minimise property vacant periods and we organise most utility accounts to offer a service which out-performs our competitors. We here at Cavendish Rowe aim to maintain open and reliable relations between our landlords and tenants. We are able to offer such a service through maintaining clear communication links, both online and offline, and ensuring both parties receive an agreeable and highly efficient service. We act alongside a property and asset management company which specialises in property management concerned specifically with the letting process so that the expertise of both companies can be combined. This partnership means our customers are served by us, a company who specialises in lettings, and another company which specialises in property management as we believe this offers you an optimum service on both fronts. We are therefore able to co-ordinate refurbishment, management and 24/7 emergency repair services with the property management consultants and will act on your behalf in ensuring you receive reputable and insured contractors throughout the letting process. Furthermore, this level of quality maintenance enhances the capital value of all the property within our portfolio. At Cavendish Rowe we know that the property market is diverse and so we work hard to ensure we offer you an equally diverse range of services. Historically, property has provided investors with a comparable, if not a higher, return in investments and so we recognise this area of the property market as an exciting and prosperous venture. Our location and company structure means we are well suited to identifying development and investment opportunities from medium to long-term investments and from individual to institutional investors. Investment in property requires careful consideration and planning. The years of accumulated experience within Cavendish Rowe enables us to provide you with the valuable investment advice and consultancy which results in success. We understand market patterns and have observed the way in which institutional investors are now acquiring residential investments at a time when the ‘Buy to Let Market’ has become commonplace and residential property deregulation is encouraging greater investment. In short, we are fully aware of the potential of the investment arena and have studied its growth so that we may perfect our service. We also understand that a maximum yield in investment can only be derived from preparation which is why we perform extensive research and produce relevant investor criteria for all investments. Our wide-ranging network means that we have numerous contacts in the property sector and maximum exposure to deals and investments before they even reach the open market. Additionally, we constantly explore financing vehicles and implications which are supported by our in-house, free financial expertise. Our goal is to provide a personalised service where clear communication is maintained throughout so that time and resource wastage is minimal. At Cavendish Rowe we take your privacy seriously and will only use your personal information to administer your account and to provide the services you have requested from us. While using our website, we may ask you to provide us with certain personal information that can be used to contact or identify you. Personal information may include, but is not limited to, your name, email address, postal address and phone number. If you provide us with your personal information when filling out a form on this site or over the telephone/in person, we will ask you what type of information you would like to receive from us. This includes new property alerts, quarterly property market report, local news and expert comment. This information will be sent by email to the address you’ve provided. You will be able to opt-out of these emails at any time by clicking the link at the bottom of the email. When you contact us regarding selling or buying properties, renting a property as a tenant or becoming a landlord, we have a legitimate interest in processing this information so that we can tailor our services to your requirements as well as offer similar services in future. We will not sell or rent your information to any third parties for sales or marketing purposes. We will not share your information with third parties for any other purposes than those you have consented to, where we have a contractual obligation to do so or where we are legally obligated to carry out ID checks as part of our Right to Rent and Anti Money Laundering obligations. We will only share your personal information for a specific purpose and then only the appropriate amount of information needed for that purpose. Whilst Lancaster Estates (UK) Ltd has no control over, and assumes no responsibility for, the content, privacy policies, or practices of any third party sites or services, we have in place stringent agreements about how your personal data is handled with all our trusted third party partners who may process your personal data over the course of your contract with us. We have taken every reasonable step possible to ensure your information is handled securely and confidentially at all times. All the personal information we handle is processed by our staff in the UK, however for the purposes of IT hosting and maintenance this information may be located on servers within the European Union. No third parties have access to your personal data unless the law allows them to do so. We will hold your personal information on our systems for as long as is necessary for the relevant activity, as long as is set out in any relevant contract you hold with us or as long as any legal obligation requires us to. In the case of CVs from job applicants, we will keep your details on file for one year unless you ask us to remove your data. You have the right to complain to the UK’s statutory authority for data protection, the Information Commissioner, whose contact details can be found at https://ico.org.uk/. info@cavendishrowe.com or telephone on 020 7262 8833. If you no longer wish to hear from us at all or wish for us to remove your data from our systems, please email info@cavendishrowe.com or telephone on 020 7262 8833. Unless there is a legal requirement for us to keep you data we will instantly remove you from our database. The accuracy of your personal information is important to us. If you want to know what information we hold about you or wish to update any inaccurate or out of date information, please email info@cavendishrowe.com or write to us at 32 Craven Road, Lancaster Gate, London W2 3QA. When you give us personal information, we take steps to ensure that it’s treated securely. Our Site is SSL encrypted. When you are on a secure page, a padlock icon will appear in the address bar of your web browser. Sometimes, we have a contractual responsibility to share your data, for example if you request a repair to your property and a contractor needs access or we need to change utilities from one name to another. In some cases we have a legal obligation to share your data – when we carry out a Right to Rent check or register your deposit with TDS for example. In other instances we will share your data only when we have your consent, for example if you request a landlord reference or a deposit return. Sometimes, we may need to carry out a so-called ‘app check’ with a fellow agent to adhere to good competition practice within the industry. Basic data such as contact information will be processed in order to set up contracts and will be shared with your landlord and/or other agents involved in the process. We will only share data for a specific purpose and only the right amount of data needed for that purpose. We have a contractual responsibility to share some of your data with your tenant, for example when setting up the contract for the let of your property. In some cases we have a legal obligation to share your data: for example for taxation purposes when your data will be shared with HMRC. In other instances we will share your data only when we have your consent, for example for financial transactions involving third parties such as other agents. If you choose to have Lancaster Estates (UK) Ltd manage your property, we will share data with any trusted contractors who will need access to your property to carry out repairs as well as any utility companies in order to manage any accounts. We will only share your data for a specific purpose and only the right amount of data needed for that purpose. We have a legal obligation to share your information to carry out so-called AML checks (Anti Money Laundering), which may include ID checks, credit checks and land registry checks. We also process your data in order to write up contracts and in order to contact you with news on suitable properties. Sometimes, we may need to carry out a so-called ‘app check’ with a fellow agent to adhere to good competition practice within the industry. We have a legal obligation to share your information to carry out so-called AML checks (Anti Money Laundering), which may include ID checks, credit checks and land registry checks. We also process your data in order to write up contracts and in order to contact you with news on offers to buy your property.